If you have been considering a project of new construction, upgrading an existing structure or performing maintenance on concrete areas, you may have come across terminology that is confusing. Contractors may suggest Pedestrian traffic coating and between slab waterproofing to protect concrete slabs. While both are waterproofing sealants for concrete, their application serves different purposes. Understanding how these sealants are used and where they should be applied will help you determine the best decision to make for your own project. Concrete surfaces that experience frequent pedestrian traffic will have wear. This will become a factor affecting the condition and lifespan of the concrete. In addition to weathering if it is exposed outdoors. Abrasion is as damaging as freezing and thawing. 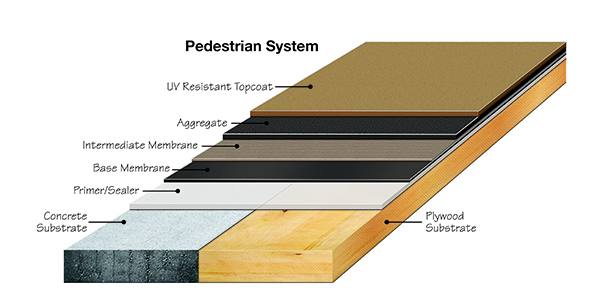 Typical pedestrian traffic coatings are polyurethane based on elastomeric properties. 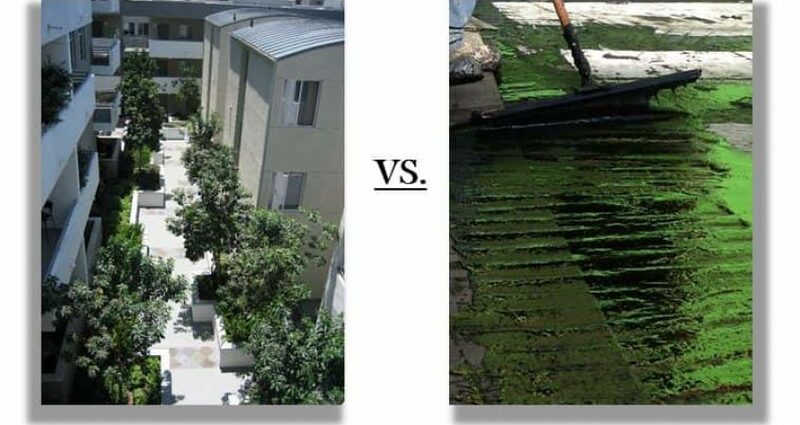 The application provides protection from UV damage, bridges existing small cracks in the concrete, and improves the sustainability of your property investment. A wide variety of standard colors, as well as custom shades, are available. Any project can have aesthetic appeal, blending in with surrounding painted surfaces, brick or stonework. To simulate surfaces such as granite, tile, brick or other patterns you can use textured finishes. It is easy to transform a concrete surface into something beautiful while at the same time protecting it. It is not uncommon for a base horizontal slab to have another topping slab set upon it. Such structures are typical for decks and balconies. It is critical to protecting both slabs with an effective waterproofing system between the layers. Otherwise, water seepage can eventually damage the integrity of the slabs. This will create a variety of problems that affect not just the slabs, but also surrounding structures. 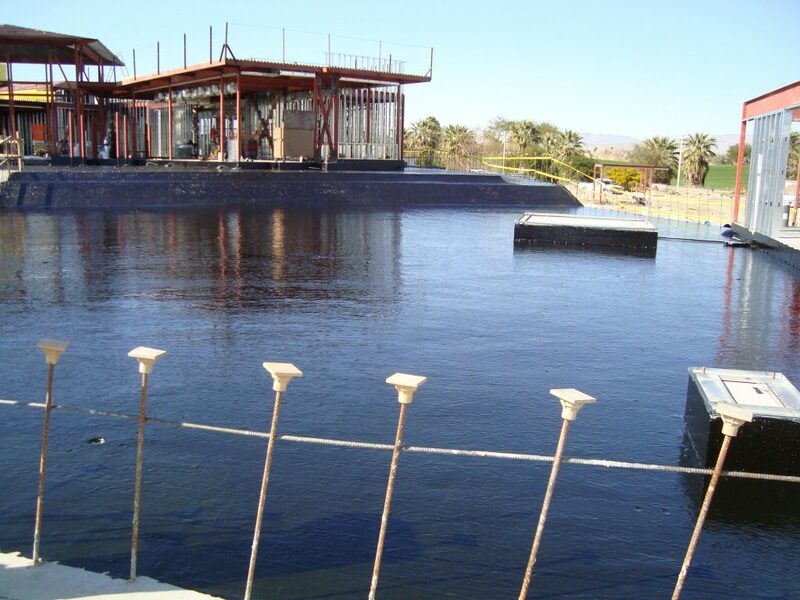 Between slab waterproofing usually utilizes an elastomeric polymer based membrane. It is applied to the slab’s surface typically as a spray coating. This creates a waterproof barrier between the concrete slabs. Slabs protected from moisture that occurs by rain or snowfall, and from moisture that might migrate upward from the ground. One of the most common reasons for slab problems to occur is water damage. Untreated concrete is not impervious to water. In fact, where water is concerned, unsealed concrete acts almost like a sponge. A sponge that absorbs moisture very slowly, because concrete is actually quite porous. Once moisture gets in, it can then freeze when cold weather sets in. This causes a freeze/thaw effect which causes the concrete to expand and contract. That is bad news for concrete integrity. Shrinkage will eventually lead to cracks. Cracks will become areas of weakness in the slab that can lead to slab failure and require repairs that can be very costly. De-icing salts are often applied to concrete surfaces in areas where snow is common. This can lead to “scaling”; or severe damage to concrete surfaces. Small flakes of the concrete surface break off as a result of the combination of freezing temperatures, ice formation, and salt abrasion. Moisture from below can cause just as many problems as the moisture that comes from above where concrete slabs are concerned. Water and water vapor can rise up from an underlying concrete slab and cause the flooring to warp or lose adhesion. Seams can become separated, air bubbles might form and flooring or tile eventually buckle and could begin to grow mold and mildew. These problems originate from the underlying slab not being properly protected with a waterproofing sealant. By choosing a quality concrete coating system these moisture issues can be avoided. Coatings will protect your investment and also enhance the aesthetic appeal of exposed surfaces. If you have a project in mind, please contact us. Our coatings’ specialists have over thirty-five years of experience in the specialty coatings industry and are happy to advise on the best waterproofing membrane products available today.